Great t-shirts don’t have to be RUFF on your budget! We want to make your day with our t-shirt sale event! The best t-shirts ARE affordable! Now through April 30, take 15% off your entire order of custom screen-printed t-shirts. Take advantage of this special offer before time runs out. 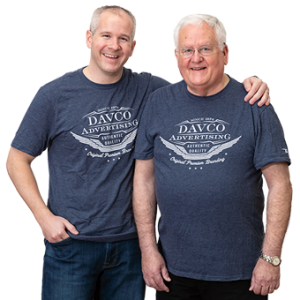 Please contact your DavCo Sales Representative or contact us at 717-442-4155 to place an order. We’ll help your company look and feel great! Offer valid for orders placed through April 30, 2019 only.